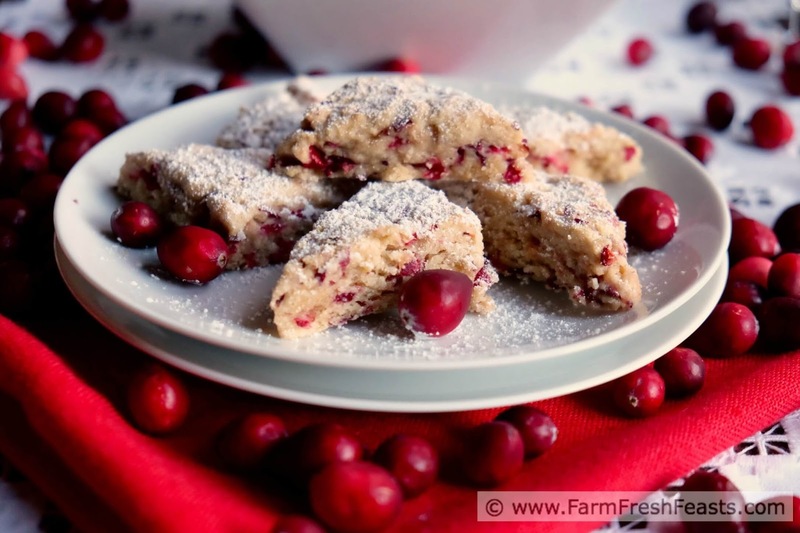 Tiny tender scones stuffed with chopped fresh cranberries and brightened with orange zest. Make these scones bite size to serve at holiday brunches or coffees. This recipe wraps up #ChristmasWeek, a event started in 2012 and hosted by Kim of Cravings of a Lunatic and Kiss My Smoke. She gathered a bunch of us bloggers together to share holiday sweets for 6 days straight. We also chipped in for $800 worth of Amazon Gift Cards for a Giveaway. I'm sharing the recipe first because I've got a story that is only tangentially related to the recipe. Reading my story will not affect your ability to make the scones, so skip it if you'd like. 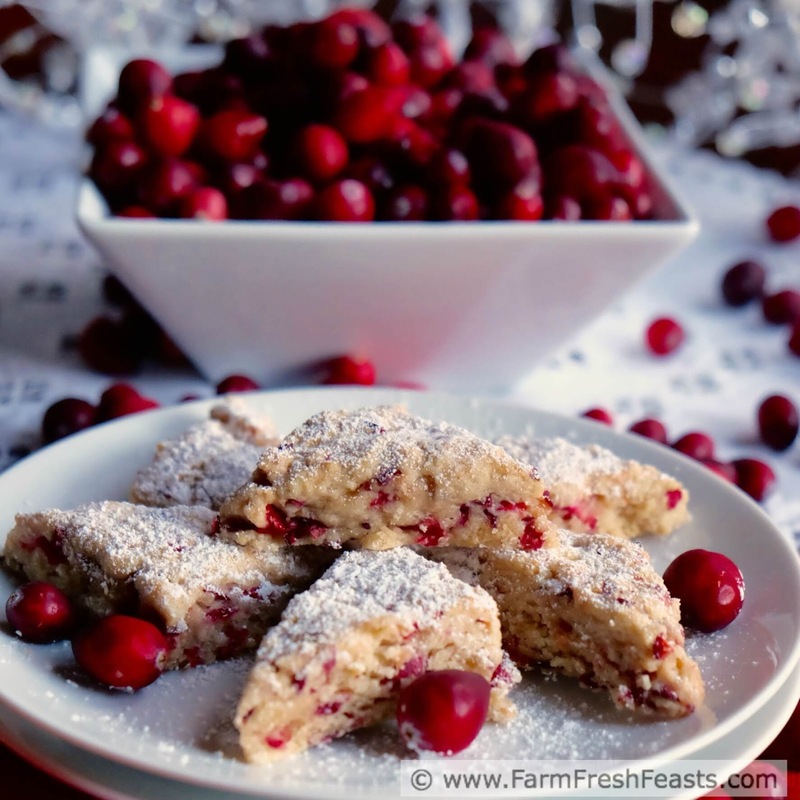 If you're just here to try and win $500 or use some fresh cranberries up go on about your business, don't mind my ramblings after the recipe. This is the blah-ggy part of blogging. Sometimes life ain't sunshine and rainbows. Note: this recipe is a mash up of the Fresh Cranberry Scones recipe at The Kitchn and the Fresh Apple Scones at King Arthur Flour. Do not preheat the oven. We're going to make and chill the dough for 30-60 minutes first. In a food processor (easiest) whiz the cranberries until chopped to your degree of happiness. I did not want coarse chunks so I went on the fine side. Dump the cranberries into a large bowl and add the brown sugar and orange zest on top. Don't clean the food processor. Dump the flour, baking powder and salt into the food processor. Add the chunks of butter and pulse several times until the butter is coated with the flour mixture and broken down into smaller, pea-sized, pieces. Dump the flour mixture over the cranberry mixture and pour the cream over top. Stir gently, then dump onto a floured piece of parchment paper and pat into a square about 12 inches by 12 inches and about ¾ inch thick. Cut the square into 16 smaller squares by dividing the square in half, then in half again, so you have 4 strips. Turn the parchment a quarter turn and divide the square in half and in half again. You will end up with 16 squares. Pull the squares slightly out from the center, then cut each square on the diagonal so you end up with 32 triangles as shown. If you remember, sprinkle coarse sugar on top of the dough at this point. In my excitement to successfully make little triangles I totally forgot this step. Transfer the parchment paper to a tray that fits into your freezer or fridge. I have no room in my freezer, so instead of chilling in the freezer for 30 minutes as recommended I stuck my tray in the fridge for an hour. Preheat the oven to 375 degrees Fahrenheit. Remove the tray from the fridge and transfer the scones and parchment paper to a baking sheet. Bake for 20 to 25 minutes until the scones are light golden. If you forgot to sprinkle sugar before, dust them with powdered sugar at this point. Cool on the baking sheet before transferring the warm scones to a serving tray, taking photos, and then sharing with your book group. Or you do you. Feel free to pin the graphic below, to share this giveaway with your friends! Always understand the question you are being asked when an official asks you a question. My son and I headed out to the motor vehicle department the day before Thanksgiving so he could take the written test for his temporary learner's permit. After giving his name and personal info, the official asked him a series of questions. Was he addicted to drugs? Had he ever lost his license? Did he have a condition which caused a loss of consciousness? Was there a physical or mental condition which impaired his ability to drive? This last question stopped me. My son was born with Spina Bifida, and to support his weak lower legs and ankles he wears leg braces. Rockstar carbon fiber ankle foot orthotic leg braces which I can most closely approximate to ski boots as they hold his ankles in a fixed position. I don't think it would be wise to drive a regular car with ski boots on. I understood the question to be "can he drive a regular car?" I replied to the official "well, he'll need to use a car with hand controls." However, because we didn't say NO we in effect answered YES. Unfortunately, the question we were asked was not what we answered. We were asked "can you drive--period?" Therefore, an additional layer of paperwork must be completed which included a visit to the Pediatrician PLUS a referral [currently waiting on insurance approval] for an appointment with an Occupational Therapist to evaluate his visual tracking as well as upper and lower extremity strength. Once that is completed, another physician will hopefully sign the damn paper so that we can go back to the motor vehicle department and he can get his picture took and walk away with his temporary permit and post his picture like other kids do. And then he can get behind the wheel and start the process of learning to drive. I don't post this to whine, much, about what my son goes through. I don't post it as a cautionary tale to JUST SAY NO when an official asks you a question. I do post it to provide perspective, to illustrate one of the hassles of living with a disability that is probably not known by the general public. While I'm on my soapbox, I'd like to remind able-bodied folks to stay the hell out of the handicapped parking spots. I don't give a care if you're 'just running in for a moment' or you have your hands full with a toddler who makes the parking lot a treacherous place. People with disabilities go through so. much. more. crap. on. a. daily. basis. than you can imagine. Find another parking space. What exactly was the relationship of this rant to the scones? On our second trip up to the DMV or BMV or whatever it's called in this state, the day after Thanksgiving [after more diligent study of the rules of the road], we stopped in at a British food store. The jar of clotted cream would have been great with these scones. I love cranberry deserts, such a clean taste. I've really come around to cranberries in all sorts of non-cranberry-sauce dishes this season. Comes from getting a giant bag at Costco I suspect! I love the combination of orange and cranberry. 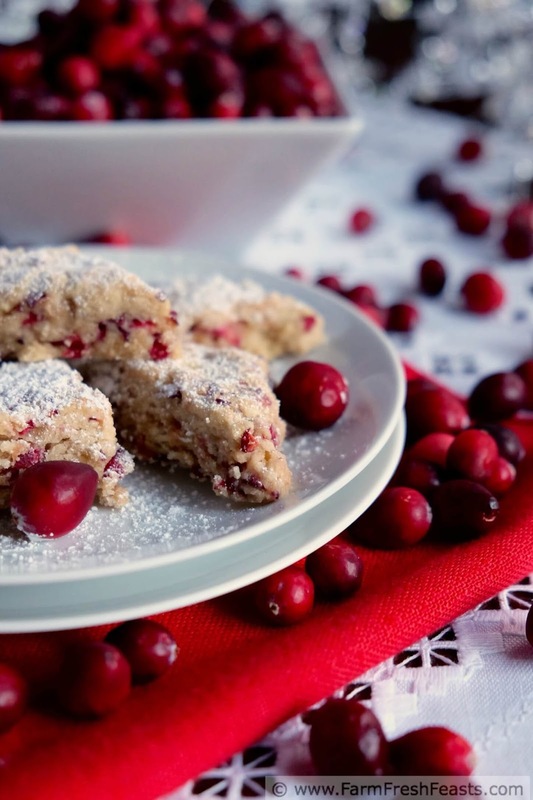 In fact, I have a recipe Orange Cranberry White Chocolate Scones I make every year for the neighbors. They come complete with buttermilk too. YUM. I think you and your son are amazing. Those scones looked yummy! I need more white chocolate in my life. Perhaps a resolution . . . Thanks--and I'm just doing my job. Just found your blog through th 6days of Christmas giveaway. Can't wait to see more. Good luck to your son on getting his drivers permit. Kirsten, I just love these photos. You really rocked this. I'm also in love with the recipe! Thank you! I was channeling my Inner Kim when I set up these shots! I am so with you on the parking thing - and I don't even have a current reference, I just cannot stand to see that happen. thanks for sharing your story and perspective. these scones! I love everything cranberry right now... I want these! Thank you--and thank you for 'getting it'! I love to make apple pie! it's my favorite! Yum, I like a nice warm slice of apple pie with cheddar cheese! I had to read the part about your son a couple of times. I'm not sure I knew that about him. K grew up with serious health issues so it stopped me in my tracks when I saw it. Not sure we've ever gabbed about that stuff. We'll have to one day. 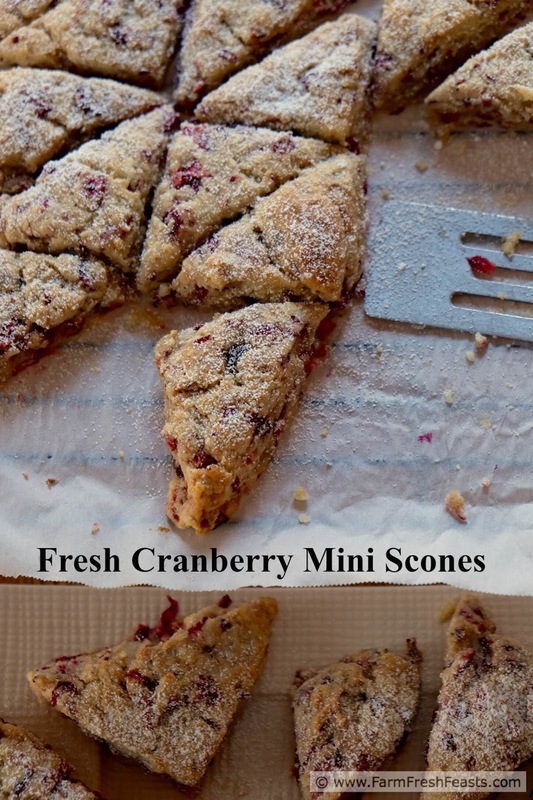 I am digging these scones, I'm a cranberry lover so these are right up my alley. I'm glad to gab. It's really a release for those of us parents who 'get it', you know? I get plenty out of sitting around knitting and chatting with other parents while my son is on the ice playing hockey. 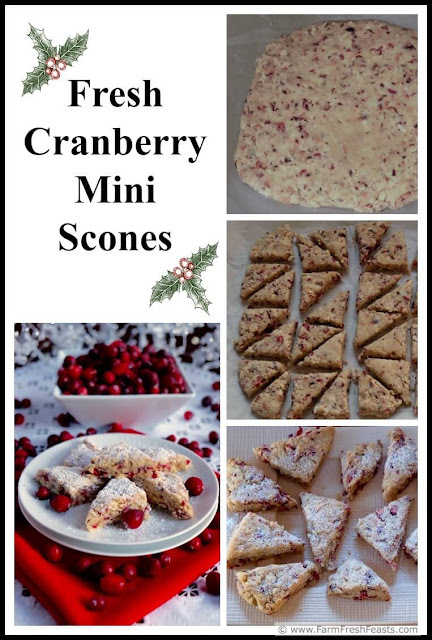 Fresh cranberry scones are wonderful, but what's really wonderful about this post is you - the parent who is unfailingly by your son's side, helping him navigate an unfriendly bureaucracy and reminding all of us who don't have disabilities not to take for granted the "simple" things that we do - like getting a learner's permit. And all I can say about able-bodied folks who parked in designated parking for those with disabilities is "shame on you!!!" Thank you. I appreciate it, and you're far more eloquent and diplomatic than I'll ever be!